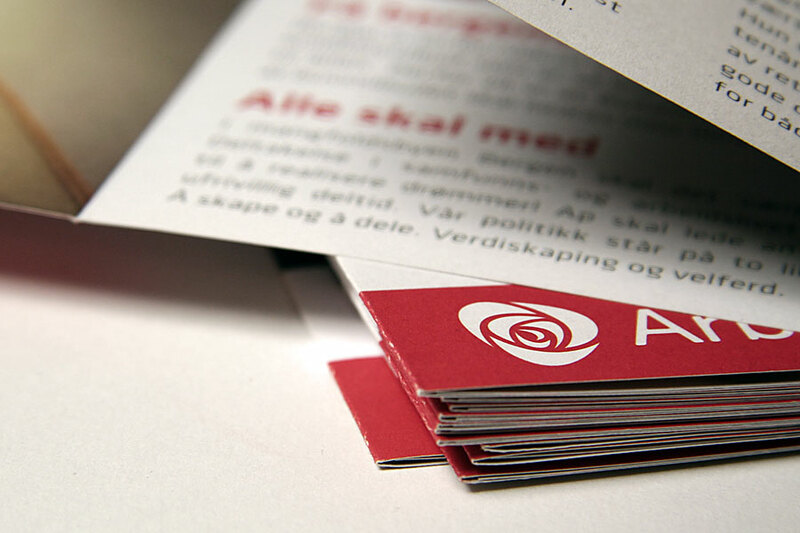 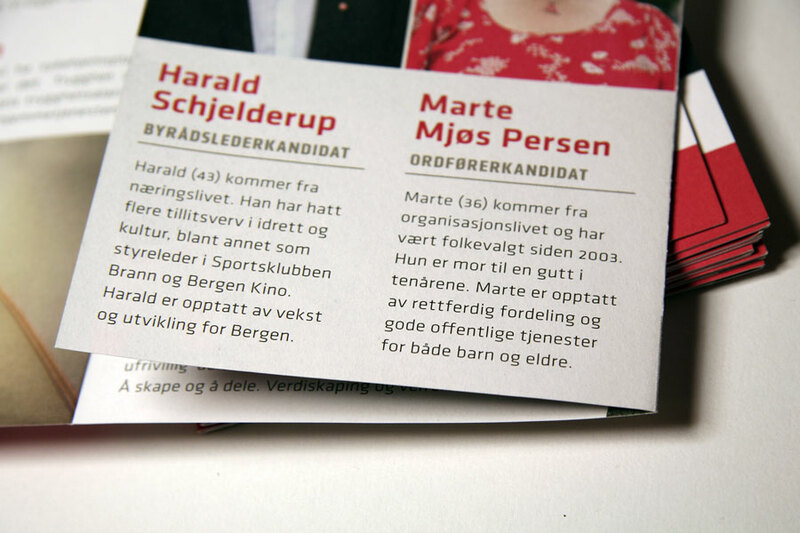 Last summer there was an election in Norway and two local parties were my clients. 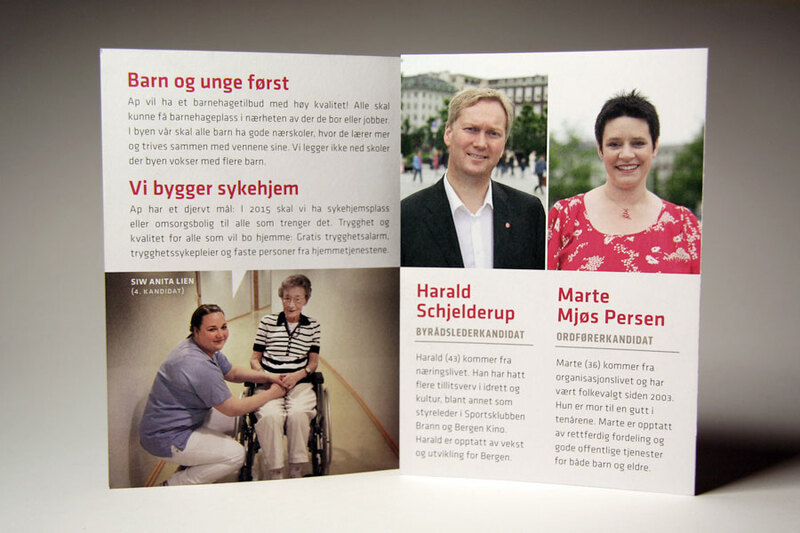 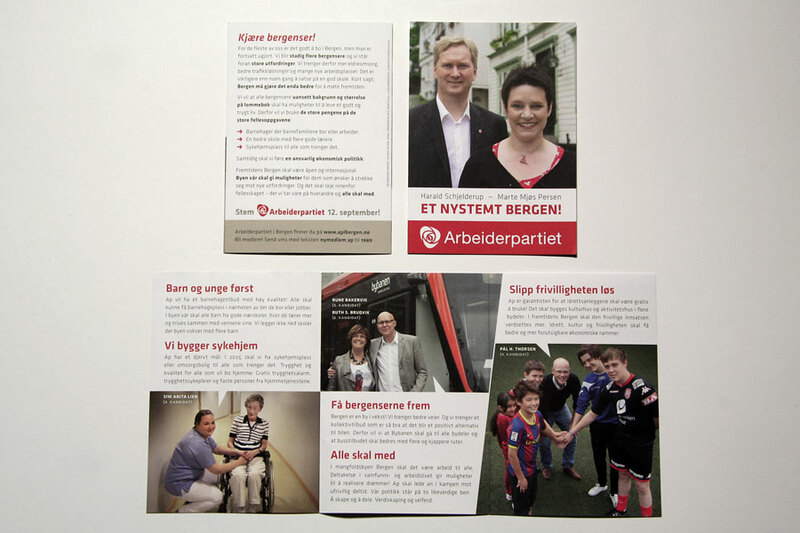 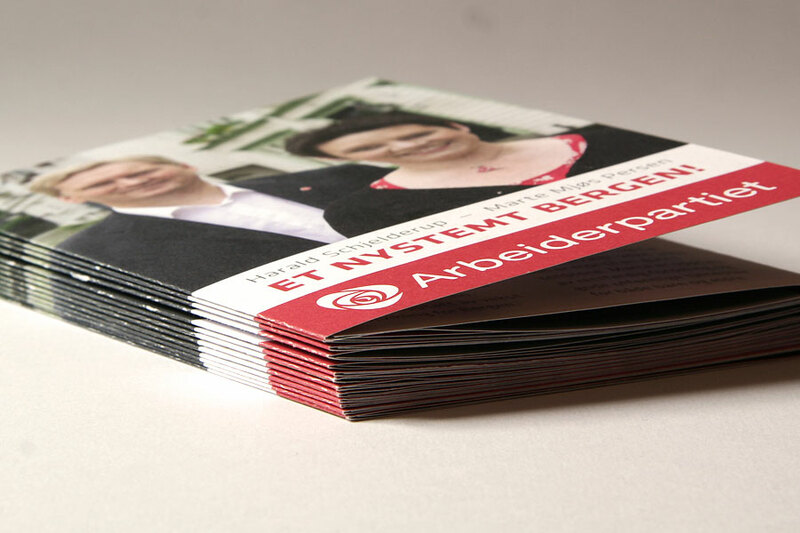 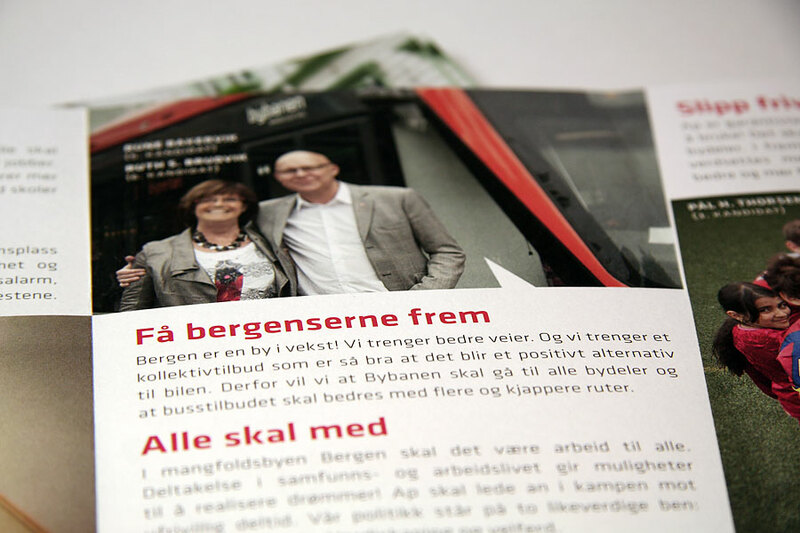 This folder presents the Labour Party’s top candidates and main causes for the city council in Bergen. 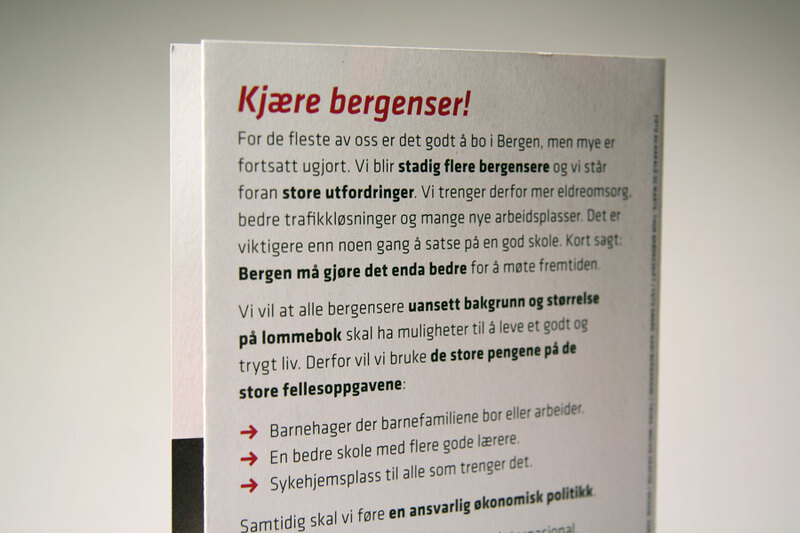 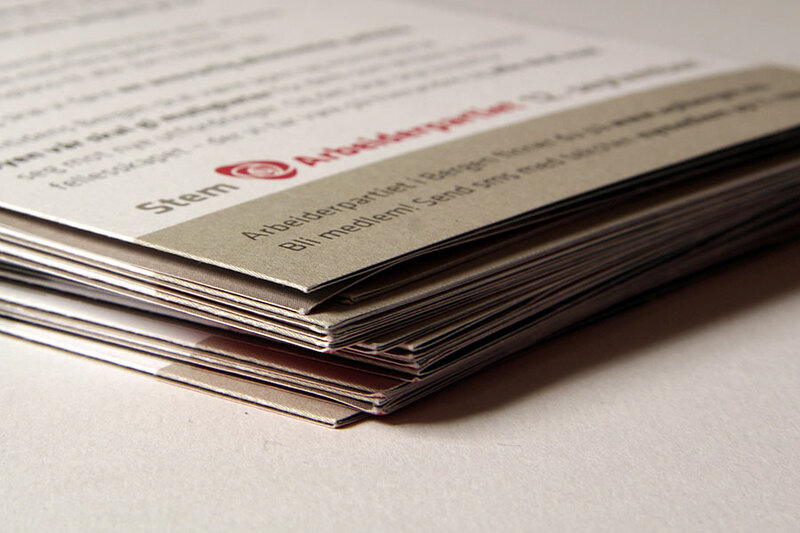 The font is Klavika – a true joy to work with!